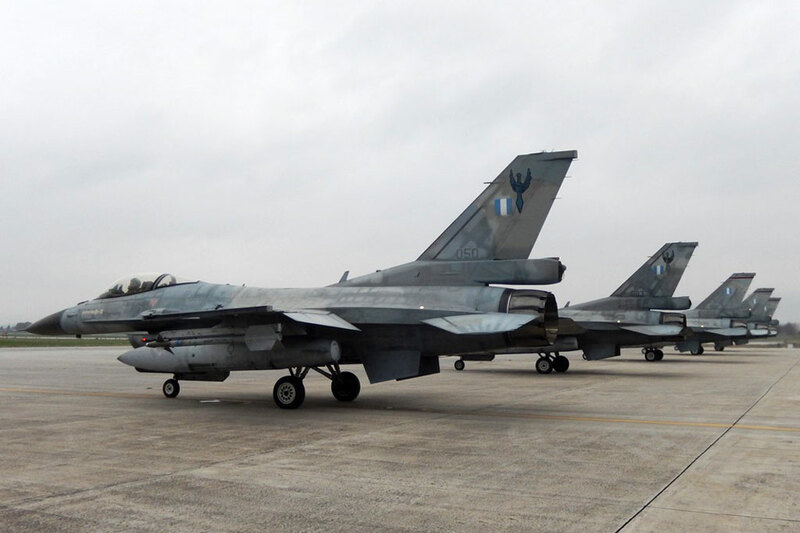 A special tail F-16 fighter jet was painted for the occasion. On Friday February 3rd, 2017 the 347th Fighter-Bomber and Interception Squadron celebrated its 40-year anniversary since its foundation at the 111th Combat Wing (111 CW) at the Nea Agchialou Air Force Base, with the presence of the Chief of the Tactical Air Force, Lt. General pilot Georgios Blioumis. 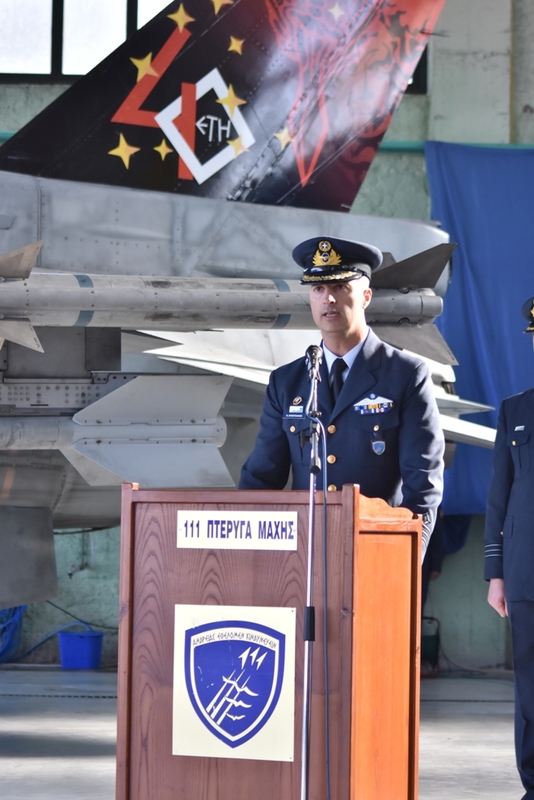 The event consisted of a blessing, the announcement of the Daily Order by the Squadron’s Commander, Major pilot Vasilio Apostolaki, a static exhibition and a photo display. 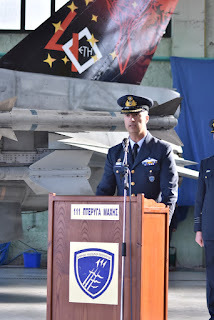 Amongst those also present at the celebration, were other Squadron Commanders, current and retired staff of the Squadron, delegates and officials of the Hellenic Armed Forces, along with a large amount of invited guests. On January 7th 1997, the 347 Squadron was re-established at 111 Combat Wing along with 330th Sqn and 341 Sqn. Its core comprised of pilots and technicians from 330th and 346th Squadrons, who were trained in the new F-16 C/D Block 50D aircraft capabilities, at Luke AB, Arizona. 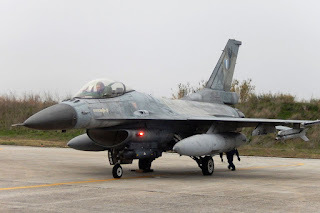 On August 22nd 1997, the official ceremony for the delivery of the first 8 F-16 C/D Block 50D aircraft took place. The Squadron was responsible for the reception of all the aircraft of this specific type, until the re-establishment of the 341 Squadron, when personnel and assets were equally divided between the two Squadrons. After its successful evaluation by HTAF (Hellenic Tactical Air Force), the Squadron was the operational duties of bombing and interception. Its coat of arms depicts the wings and sword of the mythical hero Perseus, according to the mythology he beheaded the Gorgon Medusa and saved Andromeda from the sea monster Cetus. 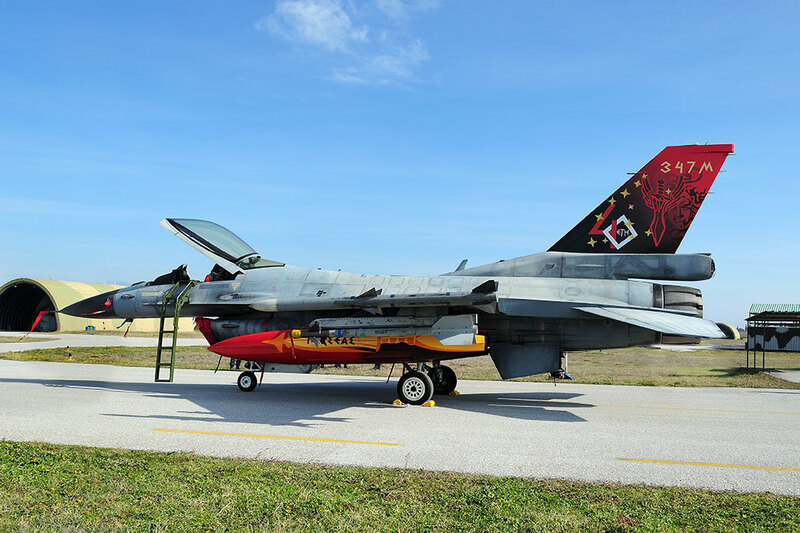 A Medusa under wings and a sword is represented in special tail of the F-16 fighter jet painted for the occasion.